Home » General News » New to your Parent Groups Website? Check out our Transition Guide! Every year or two, the inevitable transition between board members and key figure heads on a PTA or PTO is bound to happen. Terms end, kids move out of schools, new jobs limit volunteer time, etc., so we have created a quick Board Transition Guide to get new board members and website volunteers up to speed as quickly as possible on the key elements of your PTA or PTO website. We cover things as simple as logging into your site to changing your theme, editing your calendar, posting news and more. It’s laid out in a very easy to follow format and should be the perfect companion for any new website volunteer at your school. PLUS, with our award winning Help Center and phenomenal support experts available directly via chat and email, even if you do get stuck, there’s always someone around to help you find your way! 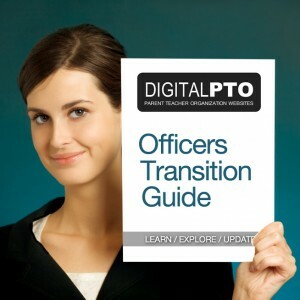 For those of you that are new to your Digital PTO website, we welcome you! We’re excited to have you as a part of our family. Please let us know if there is anything we can do to help you manage and maintain your PTA or PTO website! Visit the PTA / PTO Website Transition Guide Here! «Is your website ready for the Fall?